These tiny brown insects feed on humans and animals alike. However, they are much more than annoying little bugs. 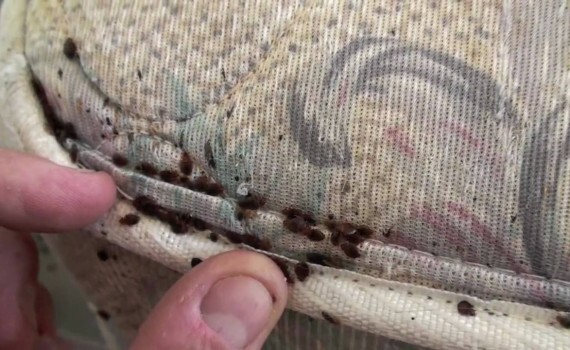 Much like mosquitoes, there is plenty of concern that bed bugs can transmit diseases as they bite by transferring blood from person to person. These bugs can transmit deadly parasites and can lead to a number of issues if not promptly addressed. Here are some examples of diseases/conditions that can possibly be spread by these pests. Chagas disease causes a number of different conditions, and depending on the severity, the disease can be fatal. It can also damage the heart causing fatal heart disease later in life. Fever and inflammation are common as are enlargement of the liver and spleen. The infected area will also swell. If left untreated, the condition can become chronic and impossible to get rid of. This happens as the bed bug introduced Trypanosoma cruzi, a parasite, through their feces. There is evidence that bed bugs can effectively transmit Chagas disease to live mice which leads to the question: Can bed bugs transmit Chagas to humans? Thankfully, there are no documented cases of bed bug related transmission of Chagas to humans as of yet, but experts have projected that it is still too early to completely rule out the possibility of transmission. Allergic reactions are common when it comes to bed bug bites. While this isn’t a disease, severe allergic reactions can be just as deadly. Symptoms of an allergic reaction may include rashes, itching and swelling in the bitten area. Severe allergic reactions can lead to fatal anaphylaxis. It is important to speak with your doctor about treatment for any allergic reactions brought on by bed bug bites, and it’s even more important to remove the bed bugs from your home to prevent future problems. Not yet thankfully. 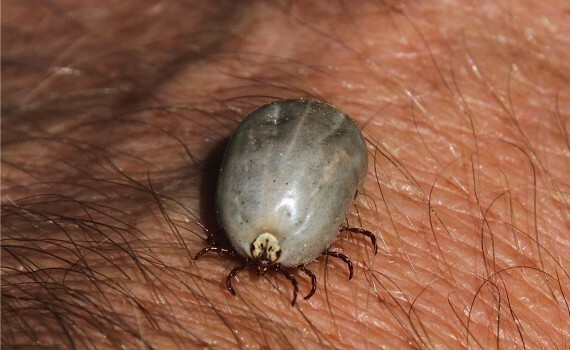 Because bed bugs may bite multiple people or animals over the course of their lifespan, there is always the concern that they will transmit HIV. Bed bugs have tested positive for diseases like hepatitis B, but information is inconclusive about whether or not they can spread the disease to humans. In controlled laboratory settings, there has been no evidence of HIV or Hepatitis B transmission between infected bed bugs. Bed bugs are also known for carrying diseases like MRSA that are unlikely to spread to humans. Whenever bed bugs are found in the home, it is important that they are treated right away. As the colony grows, the potential risk for disease transmission also grows. Diseases can be spread through the saliva that comes in contact with the skin when the bug bites, or through the feces that is left behind. Dealing with the outbreak in a swift manner can reduce your personal risk. Contact a local pest control company today to help you eliminate the bed bug problem in your home and learn preventative techniques you can use in the home. At any rate, it’s safe to say bed bugs have no place in our homes. If you suspect bed bug infestation anywhere in your home, contact a qualified bed bug removal company that uses a combination of heat, vacuuming, and light pesticide to kill bed bug harborages. Heat treatment is the single best method for eradicating bed bugs and number one EPA recommended approach to successfully ending bed bug infestations. A hybrid colony of Coptotermes termites. A king C. gestroi (nutty-brown abdomen) is shown on the left, and a queen C. formosanus(orange abdomen) on the right. They are surrounded by their hybrid offspring, including eggs, larvae, workers, and soldiers. Photo by Thomas Chouvenc, University of Florida /IFA. Now scientists in Florida have observed Formosan males mating with Asian females — in fact, they seem to prefer the Asian females more than females from their own species — and their hybrid offspring seem to grow colonies twice as fast as their parents. Dengue fever, also known as breakbone fever, is a mosquito-borne tropical disease caused by the dengue virus. Symptoms include fever, headache, muscle and joint pains, and a characteristic skin rash that is similar to measles. In a small proportion of cases, the disease develops into the life-threatening dengue hemorrhagic fever, resulting in bleeding, low levels of blood platelets and blood plasma leakage, or into dengue shock syndrome, where dangerously low blood pressure occurs. Treatment of acute dengue is supportive, using either oral or intravenous rehydration for mild or moderate disease, and intravenous fluids and blood transfusion for more severe cases. The number of cases of dengue fever has increased dramatically since the 1960s, with between 50 and 528 million people infected yearly. Early descriptions of the condition date from 1779, and its viral cause and transmission were understood by the early 20th century. Dengue has become a global problem since the Second World War and is endemic in more than 110 countries. Apart from eliminating the mosquitoes, work is ongoing on a dengue vaccine, as well as medication targeted directly at the virus. Dengue virus is primarily transmitted by Aedes mosquitoes, particularly A. aegypti. These mosquitoes usually live between the latitudes of 35° North and 35° South below an elevation of 1,000 metres (3,300 ft). They typically bite during the day, particularly in the early morning and in the evening, but they are able to bite and thus spread infection at any time of day all during the year. 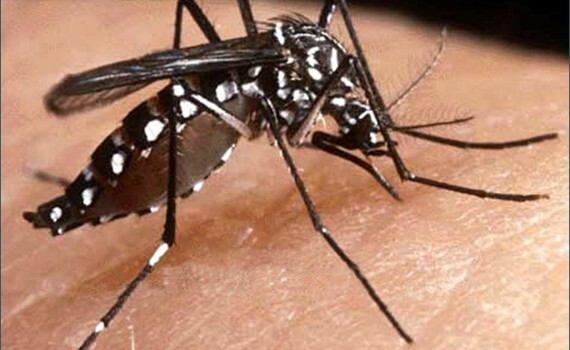 Other Aedes species that transmit the disease include A. albopictus, A. polynesiensis and A. scutellaris. Humans are the primary host of the virus, but it also circulates in nonhuman primates. An infection can be acquired via a single bite. A female mosquito that takes a blood meal from a person infected with dengue fever, during the initial 2–10 day febrile period, becomes itself infected with the virus in the cells lining its gut. About 8–10 days later, the virus spreads to other tissues including the mosquito’s salivary glands and is subsequently released into its saliva. The virus seems to have no detrimental effect on the mosquito, which remains infected for life. Aedes aegypti is particularly involved, as it prefers to lay its eggs in artificial water containers, to live in close proximity to humans, and to feed on people rather than other vertebrates. Dengue can also be transmitted via infected blood products and through organ donation. In countries such as Singapore, where dengue is endemic, the risk is estimated to be between 1.6 and 6 per 10,000 transfusions. Vertical transmission (from mother to child) during pregnancy or at birth has been reported. Other person-to-person modes of transmission have also been reported, but are very unusual. The genetic variation in dengue viruses is region specific, suggestive that establishment into new territories is relatively infrequent, despite dengue emerging in new regions in recent decades. When a mosquito carrying dengue virus bites a person, the virus enters the skin together with the mosquito’s saliva. It binds to and enters white blood cells, and reproduces inside the cells while they move throughout the body. The white blood cells respond by producing a number of signaling proteins, such as cytokines and interferons, which are responsible for many of the symptoms, such as the fever, the flu-like symptoms and the severe pains. 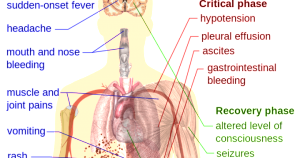 In severe infection, the virus production inside the body is greatly increased, and many more organs (such as the liver and the bone marrow) can be affected. Fluid from the bloodstream leaks through the wall of small blood vessels into body cavities due to capillary permeability. As a result, less blood circulates in the blood vessels, and the blood pressure becomes so low that it cannot supply sufficient blood to vital organs. Furthermore, dysfunction of the bone marrow due to infection of the stromal cells leads to reduced numbers of platelets, which are necessary for effective blood clotting; this increases the risk of bleeding, the other major complication of dengue fever. Once inside the skin, dengue virus binds to Langerhans cells (a population of dendritic cells in the skin that identifies pathogens). The virus enters the cells through binding between viral proteins and membrane proteins on the Langerhans cell, specifically the C-type lectins called DC-SIGN, mannose receptor and CLEC5A.DC-SIGN, a non-specific receptor for foreign material on dendritic cells, seems to be the main point of entry. The dendritic cell moves to the nearest lymph node. Meanwhile, the virus genome is translated in membrane-bound vesicles on the cell’s endoplasmic reticulum, where the cell’s protein synthesis apparatus produces new viral proteins that replicate the viral RNA and begin to form viral particles. Immature virus particles are transported to the Golgi apparatus, the part of the cell where some of the proteins receive necessary sugar chains (glycoproteins). The now mature new viruses bud on the surface of the infected cell and are released by exocytosis. They are then able to enter other white blood cells, such as monocytes and macrophages. The initial reaction of infected cells is to produce interferon, a cytokine that raises a number of defenses against viral infection through the innate immune system by augmenting the production of a large group of proteins mediated by the JAK-STAT pathway. Some serotypes of dengue virus appear to have mechanisms to slow down this process. Interferon also activates the adaptive immune system, which leads to the generation of antibodies against the virus as well as T cells that directly attack any cell infected with the virus. Various antibodies are generated; some bind closely to the viral proteins and target them for phagocytosis (ingestion by specialized cells and destruction), but some bind the virus less well and appear instead to deliver the virus into a part of the phagocytes where it is not destroyed but is able to replicate further. Cockroaches – anybody can become a victim of them, and nobody wants them in their home. Cockroaches are unwanted for good reasons- they contaminate food and food prep areas, carry and transmit many human pathogens like bacteria and even parasitic worms, and can trigger asthma attacks in people particularly in very young children. It is very important to protect yourself and your home from becoming victim to disease ridden cockroaches by taking the steps necessary to prevent them from invading in the first place. Believe it or not cockroaches do have some good qualities; they are very robust and resilient and have survived long past many other creatures; and when found outside they are very beneficial to the environment- they break down and get rid of decaying organic materials. 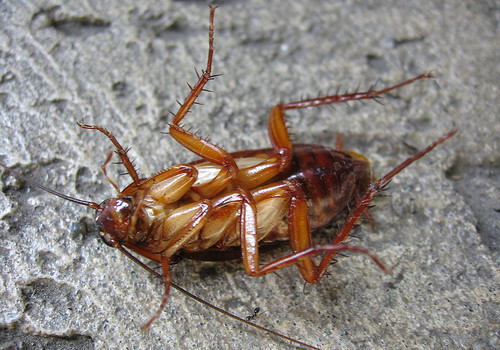 Now time for their bad qualities; before becoming a pest in your home cockroaches were living in or traveling through sewers, garbage, drains, feces, and animal carcasses. None of those places are the picture of cleanliness, meaning that all the germs and bacteria that are on their bodies and legs will be in your home on counters, in the pantry and kitchen, in bathrooms, in cabinets and drawers, and on utensils. Knowing how to prevent cockroaches from gaining access to your home is the best way to prevent your home from being taken over by these pests. Keep cockroaches out of your home by making sure that any cracks in your home’s foundation are sealed, caulk gaps found around windows and doors- especially in basement areas, and install door sweeps underneath of exterior doors. Remove garbage from the inside of your home on a regular basis and store it in a sealed container, preferably with a locking lid, outside and away from the exterior of your home until garbage day. Reduce areas of moisture in and around your home. Make sure that your home’s gutters are not clogged and are working properly to direct moisture away from the outside of your house. Inside of your home make sure to use dehumidifiers and/or air-conditioners to reduce humidity levels. Keep pet food in plastic sealed containers, pick up and remove any uneaten pet food. Make sure to routinely wash dirty dishes in kitchen and pantry areas, pick up spills and crumbs, and clean behind large appliances. Food should be stored in plastic or glass containers with tight fitting lids or in the refrigerator, not out on counters or on the table. Inspect packages that are sent to your home before bringing them inside. Check items for rips, tears, and signs of cockroaches before purchasing them from the store. Cockroaches are sneaky pests, and despite your best effort to keep them out, they could still find a tiny break in your defenses. If they have found a way into your home, don’t despair! The pest control experts at Schendel can quickly, safely, and effectively remove an infestation from your home. Our Premium Care program provides initial interior and exterior services, along with follow- up quarterly visits to provide you with year-round protection against cockroaches and other common household pests. And with our Pest-Zero Guarantee- there is no charge for treatments that are needed between services! With SITA, you can be confident that cockroaches will be eliminated from your home and that they will be kept out of it for good! 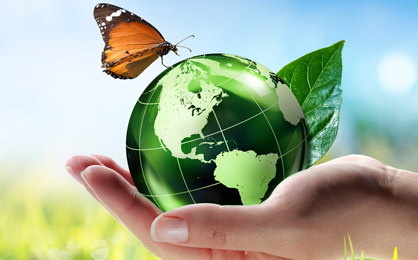 For more information about our home pest control services, please contact us today! 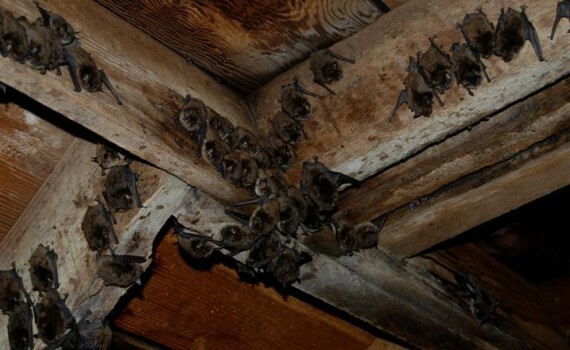 Ok, so maybe you don’t have a belfry, but more commonly you may find that bats have snuck into your attic. If you aren’t that interested in sharing your home with the bats because maybe you don’t like the idea of bats defecating in your home, soiling and tearing up insulation or bringing in parasites like mites, fleas and ticks… then read on! First, we like to start by saying that solving a bat problem is no easy task. Truthfully, doing it yourself, while possible, is not highly recommended. Trained experts are better equipped with the knowledge and tools to safely and humanely remove the bats, which is done through a process called exclusion. The exclusion process means that bats will not be harmed in the process. INSPECTION: Identifying wildlife travel routes. You will want to understand where and how they are getting in and assess the damage. SEALING: Bats have several entry points, so it is important to seal all possible active entry/exit points around entire roofline from gutter to peak of roof, including dormers, ridge vents, louver vents, flashing, rake boards and large openings. By sealing off all the tiny cracks ahead of the exclusion will prevent them from getting back in. EXCLUSION: Installing one-way doors at suspected exit points, which will be removed once animals are no longer present. This is easier said than done. Expert installation is required to allow bats to fly out but not fly back in. Once bats are 100% gone the remaining holes should be sealed up. CLEAN UP: Now the messy part… because bat droppings and urine can cause damage like mold, corrosion and other issues, the contaminated area should be cleaned. This can involving vacuuming, insulation replacement and more. Of course, biohazard suits and protective gear will be required to protect yourself. 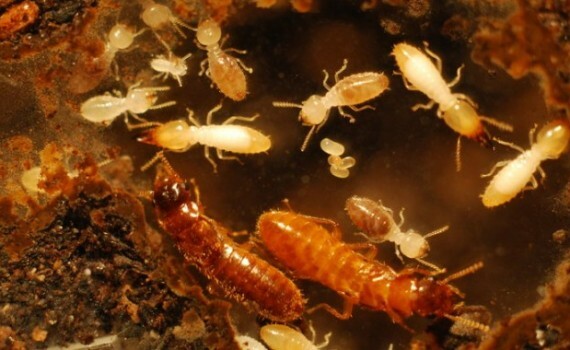 Like most pests that invade our homes, termites leave behind droppings. However, if you’ve never come into contact with the insects before you can easily overlook this inconspicuous sign. Termite droppings, also known as frass, resemble wood shavings and are often spotted near window sills or in less frequented areas, such as crawl spaces or basements. If you believe your home is infested, and you’re searching for evidence, pay close attention to the nooks and crannies around your house. If you do spot termite droppings call your pest control company, immediately. Due to a termite’s attraction to dark and humid areas, the bug generally does not feed on the surface of wood. Unfortunately, this makes detecting their presence a complicated process. If you suspect your home has a termite problem, knocking on your walls and hearing a hollow sound can alert you to an infestation. 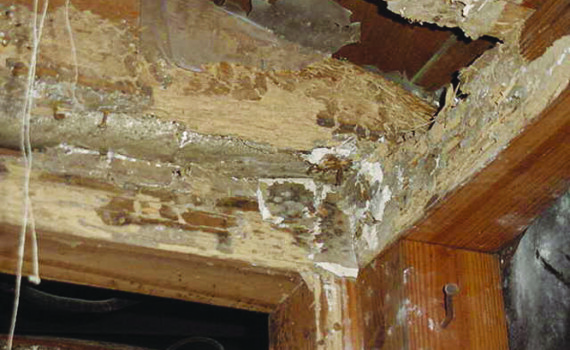 However, clearer evidence can occur when termites create galleries that run closer to the surface. The damage will cause cracks to appear in the wood. If you find unusual fissures on your walls, floors or ceiling don’t ignore them; otherwise the issue will only get worse. Termite swarmers are not a common occurrence, but when they are seen, it usually indicates a nest is close by. Flying termites are fertile males and females searching for a mate. While their presence outside of your home doesn’t necessarily signify an infestation, it does warrant an inspection. On the other hand, if you see them inside or you spot discarded termite wings on the floor of your house the likelihood of a nest in your home is extremely high. If you’ve discovered one or more of these indicators in your home, please contact us today to schedule a termite inspection. Where there’s food, there are pests — it’s an unfortunate truth all restaurant owners face. The abundance of snacking opportunities, ideal moisture and temperature conditions, and sites perfect for harboring critters, creates plenty of potential for unwanted dinner guests. Whether it’s flies in your dining room or rodents in dry storage, unwanted pests will be a bust for any business. A significant pest problem will even prevent you from complying with the necessary health department regulations to keep your restaurant open to the public. Fortunately, most of these problems can be avoided with a few security measures and proper pest control. The main pest concerns in any restaurant are cockroaches, stored product pests (like beetles, weevils and moths), flies, and rodents. Once you identify the main problem areas in your restaurant, it’s easier to develop a strategy for managing pest infestations. These places are an open invitation to pests if waste disposal isn’t handled properly. And once they’re in your garbage, it’s only a matter of time before they follow the food trail to get inside the kitchen — especially if you leave the door open for them to fly or crawl through. Places that collect moisture, such as sink and floor drains and cleaning stations, are the perfect breeding ground for flies. Flies feed on any food left in these spaces, and where they feed, they will breed. Before you know it, you’re restaurant will be taken over by flying pests. Open food containers attract cockroaches and ants, so proper food storage is a must. Your dry storage facilities and main kitchen space are at high risk for insects looking for a tasty treat. Cracks, crevices, and hollow areas in equipment legs are all typical havens for roaches, ants and mice. Some unwanted guests, like rodents and cockroaches, leave behind obvious clues of their presence, while others, like moths and beetles, are more stealthy. For stealthy pests, a few well-placed glue boards should do the trick. If pests have found their way into your restaurant, you have a few ways to send them packing. Baits and liquid treatments can be a good temporary fix, but the full spectrum of drain management, as well as termite control, from a pest professional will provide a long-lasting treatment. 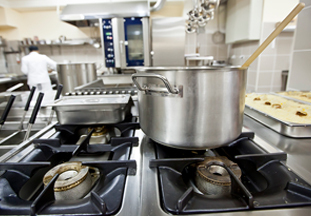 Keep in mind that steam, heat, moisture, and grease — all of which are found in a restaurant— can reduce the effectiveness of many products used to control pests. So proper application and continued follow-up is a must. Hopefully the tips outlined here will help you avoid any major problems, but if a large infestation should occur or if you want advice on how to better prevent pests in your restaurant, remember to call a pest professional at Arrow for a thorough inspection.